ConferenceSeries Ltd is privileged to announce its “International Conference on Clinical Microbiology” which will be held during July 03-04, 2017 in Bangkok,Thailand. We cordially welcome all the eminent researchers, students and delegates to take part in this upcoming Microbiology conference to witness invaluable scientific discussions and contribute to the future innovations in the field of Clinical Microbiology. ClinMicrobiology 2017 conference will focus on the latest and exciting innovations in all areas of Clinical Microbiology research which offers a unique opportunity for investigators across the globe to meet, network, and perceive new scientific innovations. This year’s annual congress highlights the theme, “To magnify the knowledge in the field of clinical microbiology” which reflects the innovative progress in Clinical Microbiology research. The two days conference includes symposiums, special keynote sessions conducted by eminent and renowned speakers who excel in the field of Clinical Microbiology which include the topics related to laboratory diagnosis of human and animal infections and the role of the laboratory in both the management of infectious diseases and the elucidation of the epidemiology of infections, the latest developments in clinical microbiology and immunology. This International Clinical Microbiology Conference also encourages the active participation of young student researchers as we are hosting Poster Award Competition and Young research Forum at the conference venue. Microbiology conference in Bangkok,Thailand this year which will provide the future leadership in this key area for global health. ConferenceSeries Ltd Organises 300 International Conferences Every Year across Asia, Europe & USA with support from 1000 more scientific societies and Publishes 500+ Open access journals which contains over 50000 eminent personalities, 50,000 reputed scientists as editorial board members and 5 million readers. With members from around the world focused on learning about Clinical Microbiology and its advances in making a better health; this is your best opportunity to reach the largest assemblage of participants from the Clinical Microbiology community. Conduct presentations, distribute information, meet with current and potential scientists, make a splash with new drug developments, and receive name recognition at this 3-day event. World-renowned speakers, the most recent techniques, developments, and the newest updates in Clinical Microbiology are hallmarks of this conference. We invite you to accompany us at the Medical and Clinical Microbiology 2017, where you are assured to have a substantially worthwhile experience with global scholars. 6th Clinical Microbiology Conference,October 20-22,2016 Rome,Italy; 3rd World Congress and Expo on Applied Microbiology,Nov 7-9,2016 Dubai,UAE; 4th World Congress and Expo on Applied Microbiology September 19-21,2016 Las Vegas,USA; 7th Clinical Microbiology Congress February 27-28,2017 Amsterdam,Netherlands ; 8th Clinical Microbiology Conference October 26-27,2017 Paris,France; CACMID-AMMI Canada 2017 Annual Conference(Toronto,May 3-6 2017);asm microbe 2017; 27th European Congress of Clinical Microbiology and Infectious Diseases 2017(ECCMID 2017); FEMS 2017 7th Congress of European Microbiologists,July 9-13,2017 Valencia,Spain; The Microbiology Society Annual Conference 2017,3-6April 2017. The study of viruses and virus-like agents is termed as virology. This branch includes study of its origin to evolution. 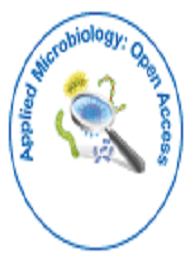 Sub microscopic structures, classification and genetics of viruses fall under this branch of microbiology. It also focuses on their interaction with host organisms, mechanism of disease caused and techniques used to study and cure it. Various Diseases caused by viruses are AIDS, polio, Dengue fever, common cold, genital herpes and influenza. On commence of virus in to the host body, body triggers production of antibodies which on binding to virus either inhibits its infection or destroys viruses. Vaccinations protect against viral diseases, by enhancing the production of antibodies. 9th International Virology Congress and Expo,March13-15,2017 London,UK;10th World Congress on Virology and Mycology May 11-12,2017 Singapore;8th World Congress on Virology,November 20-30,2016 San Anthonio,USA;10th International Congress on Clinical Virology,December 4-6,2017 Dubai,UAE;5th International Conference on HIV/AIDS,STDs and STIs November 13-14,2017 Las Vegas,Neveda,USA; American Society for Virology 2017 Annual Meeting 24-28 June 2017,Madison,United States; ICV2017:19th International Conference on Virology,Miami,USA,March9-10,2017;GRC Physical Virology Gordon Research Conference,January29-February3,2017; ASM Clinical Virology Symposium,May7-10,2017,Savannah,Georgia; 27th Annual Meeting of the Society for Virology,22-25 March 2017,Marburg. Bacteriology, the branch under microbiology dealing with study of structures, classification and genetics of bacteria. Advanced research, study and knowledge has led to development of effective vaccines and therapeutics over the time. Major advance in bacteriology is the development of antibiotics, which are influential tool in eradicating various bacterial diseases. Not all bacteria are pathogens and have the ability for pathogenesis. Bacteria also reside in host without providing harm and provide immune response to the host by invading foreign bacteria from invading the host. Study of the interaction of the parasite and their hosts is Parasitology. Medical parasitology has it’s congruence with the pathogenic parasites affecting humans, the diseases, clinical pathology and the response of the human’s immune system against these pathogens. It also deals with the different approaches of the infection and diagnosis, treatment, prevention & control. Additionally medical parasitology also comprises of Drug Development, Epidemiological Studies and zoonosis. An interdisciplinary field, inveigled by Biochemistry, Immunology, Microbiology, and other applied life sciences. Parasites inhabit the host of a remarkably high immuno-potent immune system. Vector-borne infections are transferred via bite of an infected arthropod, for instance mosquitoes, ticks, bugs, sandflies and blackflies. Mycology is the branch of applied microbiology that deals with fungi and their biochemical and genetic properties. This branch also includes fungus and its use to human, disease causing agent to plant and to animals. This class is spore-bearing Eukaryotic organisms that produce extracellular enzymes. The significant study of fungus in clinical microbiology has proven that in spite normal and immune-compromised infection, sometime may lead to chronic infection. Mainly they are non-susceptible to anti-microbial drugs but are susceptible to several groups of antifungal drugs called polyenes, azoles. Owing to the fact that side effects are substantial, clinical microbiologist are working and researching on better understand and knowledge about fungus and accurate diagnosis of diseases caused by them. Current research states that mushrooms may have hypoglycemic, anti-cancer, anti-pathogenic and immune system-enhancing activity. Food spoilage caused by fungi and yeasts can be more significant, particularly in a number of key food groups, those that are acidic in nature or have low moisture content. Mycotoxicology is another branch of mycology that focuses on study of toxins produced by fungi, called as mycotoxins. The prime function of immune system is to identify the non-self substance referred as antigen which triggers a cascade of reaction to eradicate that foreign substance from the body. This reaction will also develop the ability to quickly respond to a subsequent encounter because of immunological memory whenever encountered again. When a person is again exposed to same antigen, these memory cells play a major role. Immunological memory will prevent onset of infection. When the immunity is stimulated by administration of antigenic material (vaccine) against a particular pathogen, is termed as vaccination. 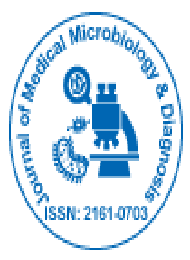 Since the twenty-first century, the clinical microbiology techniques have been playing a central part in the management of infectious diseases and surveying world epidemiology. This impetus adoption of rational sampling with balanced cost has impetuously led to developments of improved workflow and output in the field of clinical microbiology. 6th Global Congress on Mass Spectrometry October 19-20, 2017 Osaka,Japan; 9th International Conference and Exhibition on Analytical & Bioanalytical Techniques September 28-29, 2017 Atlanta, USA; 3rd International Conference and Exhibition on Advances in HPLC & Chromatography Techniques July 13-14, 2017 Berlin, Germany; Malaysian Society For Microbiology, Chinese Society for Microbiology, American Society For Microbiology, The Malaysian Biotechnology Information Centre, The Malaysian Society of Molecular Biology and Biotechnology, International Association of Microbiological Societies. A serological diagnosis is prepared by detecting the rising titres of antibody or detection of IgM. By serological methods most of the common viral infections are diagonized. Western blot, Radioimmunoassay,Enzyme linked immunosorbet assay ,Particle agglutination, Recombinant immunoblot assay are the newer techniques of serology. It is the main stay of viral diagnosis. 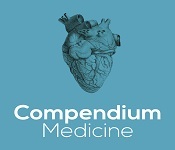 Complement Fixation test, Virus Isolation,Electron microscopy, Haemagluttination inhibition test, Enzyme Linked Immuno Assay, IgG Antibody avidity ,Single radial haemolysis, ,Neutralization, , Immunoflurorescence Molecular methods are the commonly used viral serological methods used in the field of virology. ELISA was developed in 1970. Competitive,Sandwich and Antibody capture methods are the assay principles used in ElISA technique. In Haemagluttination inhibition test the main moto is to prevent haemogluttination caused by antibodies which goes against viral proteins. 8th World Congress on Virology November 28-30, 2016 San Antonio, USA;4th International Conference on HIV/AIDS, STDS and STIS October 03-05, 2016 Florida, USA;; 10th Asia-Pacific Medical Virology conference,Oct 15-18,2016 Taiwan; 26th Annual Meeting of the Society for Virology ,April 6-9,2016 Germany;6th European Congress of Virology,Oct 19-22,2016 Germany; IV International Clinical Virology Symposium and Advances in Vaccines Oct 24-26,2016 Argentina. American Society for Microbiology , Society for General Microbiology, Society for Applied Microbiology, Canadian Society of Microbiologists. Antimicrobial chemotherapy implements the clinical use of antimicrobial agents in treating infectious disease. The positive conclusion of this antimicrobial medical aid depends on many factors like site of infection, host defence mechanisms and pharmacokinetic and pharmacodynamics activity of the antibacterial agent. A bactericidal activity depends on the microorganism growth and microorganism division. because the activity of medicine agent depends on its concentration, in vitro characterization of medicine activity generally involves the MIC - minimum repressing concentration and MBC that is that the minimum disinfectant concentration of medicine agent. Antimicrobial agents that treat microorganism infections area unit such as medicine therapy, equally for fungal, microorganism and protozoan infections area unit they're such as antifungal, antiviral and antiprotozoal therapy. Microbiology, it is the most important disciplines, not only in life-sciences, but also in other sciences (Physics, Chemistry, Mathematics), and it is most actively involved inter-disciplinary sciences in the research areas. The way microbial sciences have complexly braided their way in the research fields clearly shows how strong the foundation and walls of the Microbiology are being built. Microbiology has a myriad of sub-disciplines which are inter-related with other branches of education- art, mathematics, health care, traditional and ancient medicines, statistics, and metallurgy. ClinMicrobiology 2017 welcomes attendees, presenters, and exhibitors from all over the world to Bangkok,Thailand. We are delighted to invite you all to attend and register for the “ International Conference on To magnify the knowledge in the field of Microbiology (ClinMicrobiology 2017)” which is going to be held during July 03-04, 2017 in Bangkok, Thailand. The organizing committee is gearing up for an exciting and informative conference program including plenary lectures, symposia, workshops on a variety of topics, poster presentations and various programs for participants from all over the world. We invite you to join us at the Clinical Microbiology 2017, where you will be sure to have a meaningful experience with scholars from around the world. All members of the Clinical Microbiology2017 organizing committee look forward to meeting you in Bangkok,Thailand. 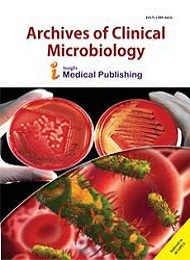 Clinical Microbiology is a branch of Medicine concerned with the prevention, diagnosis and treatment of infectious diseases caused by four kinds of microorganisms i.e. bacteria, fungi, parasites and viruses. In addition, this field of science studies various clinical applications of microbes for the improvement of health. Although microbes are most ancient and they had the planet all for themselves initially, even after the advent of man they have been influencing his life both for good and bad since time immemorial. In a lighter vein one can say that ever since the first toast was proposed and the first loaf of bread was baked man has known the influence of microbes. Although microbes are most ancient and they had the planet all for themselves initially, even after the advent of man they have been influencing his life both for good and bad since time immemorial. In a lighter vein one can say that ever since the first toast was proposed and the first loaf of bread was baked man has known the influence of microbes. Asia Pacific is expected to be the fastest growing region with a CAGR of 9.3% from 2016 to 2024. Japan is one of the leading countries with strong technological development and higher usage of microbial testing for various applications. In addition, China is another significant space contributing to the growth of the Asia Pacific market. Moreover, booming medical tourism industry in the region is expected to spur the demand for microbial diagnostic and monitoring tests in Asian countries namely, India, China, Thailand and Malaysia. Furthermore, skilled labor at affordable cost and advanced manufacturing infrastructure is resulting in shifting of manufacturing facilities of major pharmaceutical players to Asia. Thus, rapidly growing number of manufacturing facilities in the region is boosting the growth in the region. In low-income countries, nearly 4 in every 10 deaths are among children under 15 years, and only 2 in every 10 deaths are among people aged 70 years and older. People predominantly die of infectious diseases, lower respiratory infections, HIV/AIDS, diarrhoeal diseases, malaria and tuberculosis collectively account for almost one third of all deaths in these countries. Complications of childbirth is due to prematurity, and birth asphyxia and birth trauma are among the leading causes of death, claiming the lives of many newborns and infants. As the rate of infectious diseases has been increasing day by day, where people are suffering with various diseases caused by the microorganisms it is important to study and analyse about clinical microbiology. Thailand is a developing country in Southeast Asia with an acknowledged requirement for improvement of the national medical system. Bioactive compounds from Actinomycetes isolated from soil in Thailand. Screening and identification of endophytic fungi isolated from mangrove plants in southern Thailand for their ability to produce bioactive substances. A study was conducted in Thailand with epidemiologic, clinical, and microbiologic components has shown the use of two enzyme-linked immunosorbent assays (ELISAs) to confirm the presence of HIV antibodies produces results comparable with those of the Western blot. This approach was for confirming HIV status was used effectively in Thailand, Tanzia , and Malawi . In Thailand about half of consecutive febrile adults admitted to a sentinel teaching hospital for infectious diseases had bloodstream infections. Accurately diagnosing infections is particularly challenging in tropical environments. Researchers are working to develop effective and practical means of diagnosing and treating malaria and other neglected tropical diseases, such as dengue fever. The development of rapid tests for dengue, similar to pregnancy tests, allow rapid and acurate diagnostics in the field. The Asian microbiology market is growing due to increase in the prevalence of pathogenic diseases, growth in discovery of mutating and the growing need for speedy microbiological testing methods. Clinical Microbiology testing is for identifying bacterial, fungal, and parasitic infections as well as for preventing epidemics. It also helps in the clinical management of the patients. There is an increase in the number of infectious diseases across the globe. The factors driving the microbiology market are the rise in incidence of HIV and tuberculosis, as well as sexually transmitted diseases in developing like Europe and America. Microbiology Culture market includes Mycobacteria Culture, Microbiology Analyzers, Blood Culture, Bacterial Identification ,Immunological Culture Identification, Susceptibility Testing ,Parasitology Culture and Mycology Culture.Global corporate-level profiles of key companies operating within the Asia-Pacific Microbiology Culture market. 2014 company shares and distribution shares data for the Microbiology Culture market Annualized market revenues (USD million) data of the market categories. Data is provided from 2007 to 2014 and forecast to 2021. The Asian microbiology market is growing in double digit, and will continue to grow in future. China commanded the largest share 53% at an estimated $177.1 million in 2013, and is expected to reach $334.5 million by 2018, at a CAGR of 14.2% from 2013 to 2018. The overall Invitro Diagnostic market was worth $49.2 billion in 2013 and is estimated to grow at an annual growth rate of 7% over the next five years. 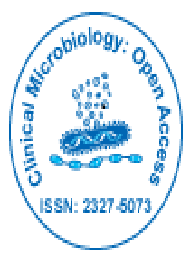 The global clinical microbiology market is projected to reach USD 5.77 Billion by 2021 from USD 3.35 Billion in 2016, growing at a CAGR of 11.5% from 2016 to 2021. Market growth can be attributed to factors such as the technological advancements, rising incidence of the infectious diseases and growing outbreak of epidemics, growing healthcare expenditure across the world; and increasing funding, research grants, and public-private investments in the field of life science researches. New Market research report shows Microbiology testing in industrial market to exceed $6.0 billion by 2013. According to a new market report entitled Industrial Microbiology Market Review 3rd Edition , the industrial microbiology market in 2008 represented 1.5 billion tests with a market value in excess of $4.5 billion. The Report includes a thorough review of the global market along with detailed examinations into its six main sectorsfood processing, beverage, pharmaceutical, personal care products, environmental, and industrial process. It was a wonderful experience to be a part of this research platform. The interactions were beneficial and the lectures are awesome. Thank you for your hospitality during the conference. well done, good job. I liked good about the conference is; on all the topics there was an open discussion, everyone had shared their perspective, ideas, works and experiences, which helped us to know about the research level and research works going on outside our country. They were interested in collaborating with my institute also. This was very good experience. The event manager was also nice and helpful I should surely acknowledge that.